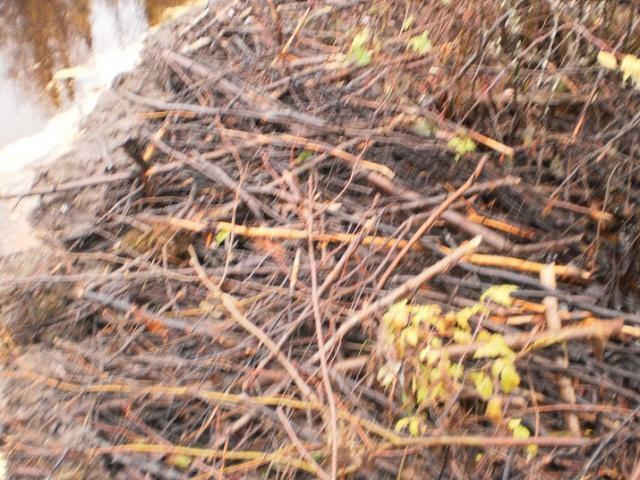 Does anyone offer beaver dam removal? If so, at what price? Just thinking of the harder to reach areas that flood and are unattainable with machinery that will have to be done by hand. Most of the areas I get my business on are blocked culverts or dammed drainage ditches. Just thought I could make some more money per job by offering a dam removal option. Any input would be appreciated. 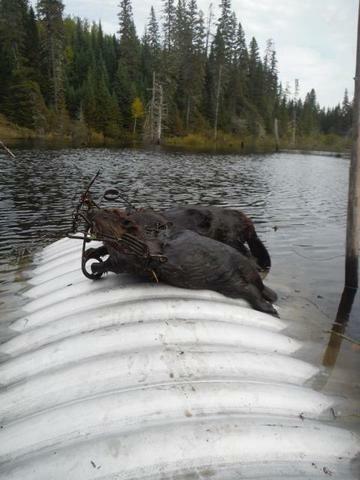 Without beaver trapping too, you will be spinning your wheels. 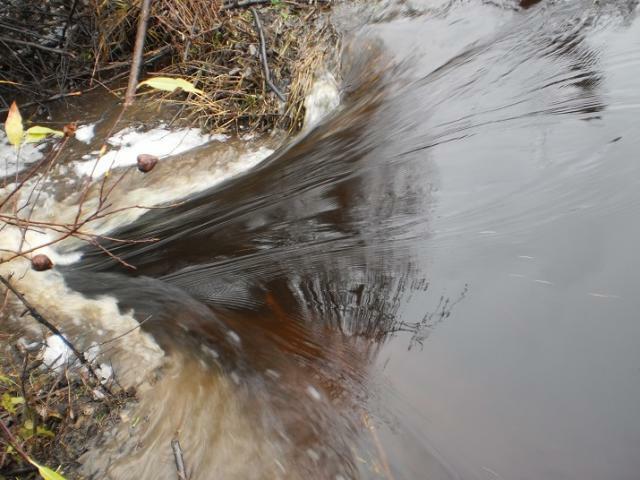 The beavers will probably have the culverts blocked again within a week or two. In my area of the state, even with complete removal of the present colony, more beavers will move in. It may take a week, a month or two, but, they will come. It is just part of the job when we do a nuisance beaver removal contract.$50 to restore the water to natural flow. Boco, seems like a lot of work for an extra $50. How do you do it if you don’t mind me asking? Beaver hook.Not hard to break a beaver dam.If you go about it in the right way the water will do most of the work.Some smaller culverts are tricky when you have to go in from the lower end.The big ones are no different than any other dam.I have broke thousands of dams by hand,it was my steady job for years along with beaver control. Stick dams are the easiest,you just throw out the sticks or cut them up with a chainsaw then rip er out. Last edited by Boco; 09/09/18 07:45 PM. I usually do $50 to $150 depending on the situation. Had one where a development had previously called for high pressure water to blow out the dam, small tube so no way to come in from the low side. Culvert was covered in completely, but I remembered where the culvert was under water from the year before. Once located and could get a small flow it would be easy. They were about to call the water guys which costs several thousand dollars each time. Told them a buck and a half and was done in 45 minutes. I haven't used the Husky on dams yet, but I'm sure that would make it go a lot easier. Still like getting some exercise and playing in water, so tearing out a dam is a good excuse. Most of the dams are minutes, less than an hour. 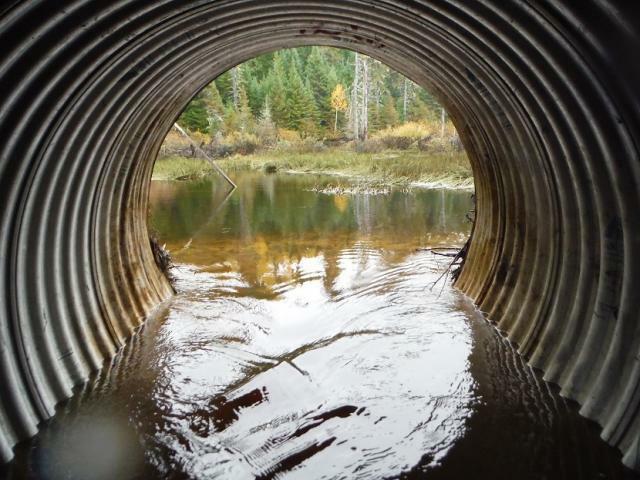 Heres one from today.I like opening these culverts on the hydro roads.They got good gates in front with smooth rods easy to pull.I just throw the long sticks out by hand,then just pull the rods.The water pressure flushes the pipe clean,then I replace all the rods and the job is done til more beaver show up.The trick to these is to make sure the water is sufficient to flush the debris entirely out.Some make the mistake of letting debris into the pipe without sufficient water to flush it out,or not removing the long sticks first. This location had no beaver for 3 years. I patrolled a road today and there is a big culvert with no gate plugged right to the top.I will need to let the owner know about it and see if he wants to make a contract.last time the road washed out and it cost many tens of thousands of dollars to fill the washout and replace the big pipe.I'm pretty sure he will contract my services. Last edited by Boco; 09/16/18 07:00 PM. I would not have a set price per dam. There are too many variations between dam situations. 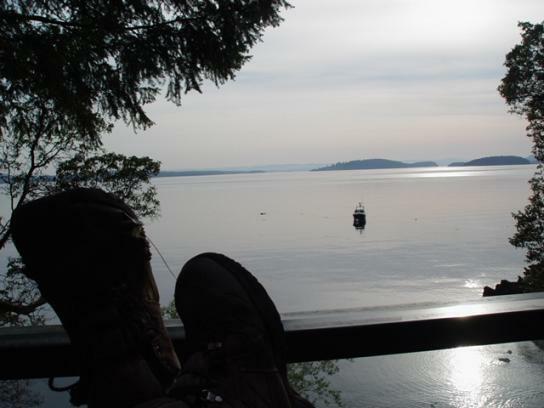 Trapper/customer relationships need to be based on faith. We trust that they will pay when we are done, and they need to trust that we will charge them a fair price for what we do, including dam removal. I charge by the hour, and dam removal can be back breaking and is charged accordingly. It is never $50.00 when I do it. 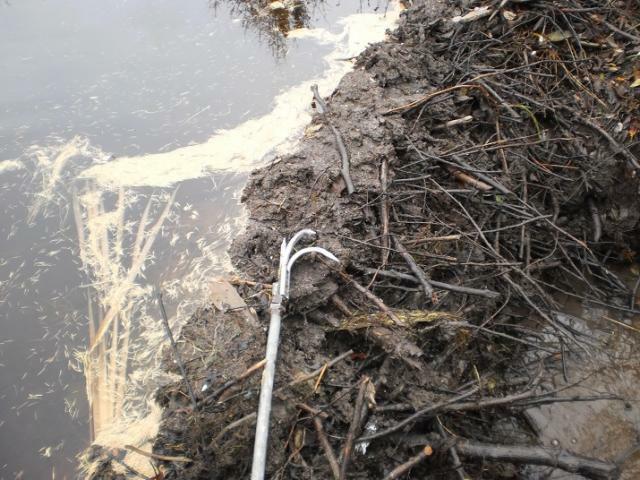 I haven't had anyone flinch at what I charge for dam removal. If one were ever to say, "No, I'll do it. ", I'd bet they will pay me to do it the next time. Our council when we negotiated the protocol with the clients assigned a $50 charge for dams.All the trappers agreed unanimously with the council executive that that was a fair charge.It must be mutually agreed by both the trapper as well as the client.Sometimes it is too dangerous for the trapper to do it,and sometimes the clients want to do the dam removal.One unionized company is not allowed to contract the dam removal because of union rules. 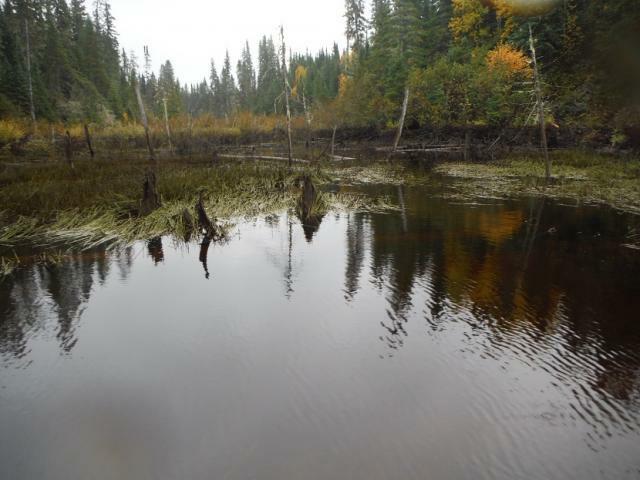 I broke thousands of beaver dams(Bever control was my job for many years and dam removal was a must in all cases) and there isnt any I cannot remove with the hook,chainsaw,or come along. $50 to remove a dam for me is easy money. I will be removing a couple within the next couple weeks,I will get some pics. Last edited by Boco; 09/18/18 11:12 PM. This quote would be my answer. Some dams here have much height and length. Many locations have series of these. It is one thing to remove the water with a small opening. It is another, to remove a 50' long 6' tall dam that has been there for 20 years with trees growing in it (and little elevation change). Not necessary to remove an entire 50 foot long dam with trees growing on it.Only necessary to return the stream,creek to natural flow.There are old dams everywhere here,that are part of the landscape that have breached on their own to natural flow thru erosion.They don't impede the flow at all. Actually the larger dams that hold a lot of water are easier to break to natural flow than some smaller ones.Once the supporting downside structure is cut or removed,the water does the work. If a client wants a dam removed by machinery it is his prerogative to do so.Also Like I stated above when a trapper is not willing to remove a dam for any reason it is also his prerogative to refuse to do so.When I did full time beaver control for the railroads I had access to railway machinery and dynamite(not used anymore for dam removal) but hardly ever was it necessary to employ it.In fact in most cases by law you cannot let large amounts of water flow downstream all at once which is not controllable with dynamite,and too costly to get machinery back in the bush for 2 or 3 stages of water lowering. 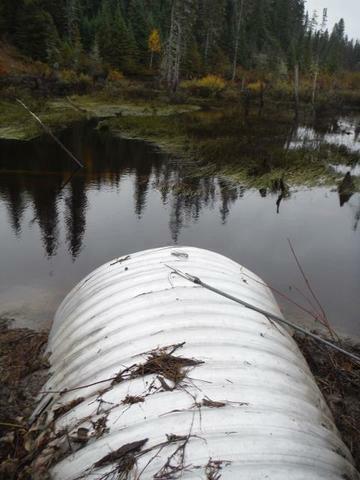 The most dangerous beaver dams are inland dams sometimes over a mile from infrastructure usually in series and on high ground,only visible by aerial survey.These dams need to be broke by hand in stages in order not to cause washout of infrastructure downstream. 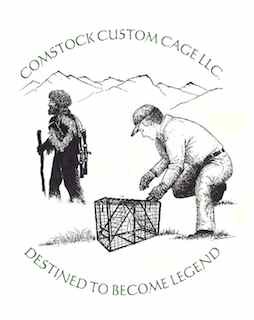 Your protocol may be set up different but that is what works well here for both our trappers and clients and has worked for over 30 years.Our Nuisance beaver program has been running successfully since the late 80's.I will add that the railways are the only companys that do not use our nuisance beaver program services,because of access issues. Last edited by Boco; 09/19/18 10:44 AM. I agree with removing small portion of the dam at a time. Not only will the water keep working at the opening but it will also show you if a new comer has came in and plugged. I have a hook also I use, looks like a heavy 3 tined potato fork with the tines bent over. It doesn't take long to remove mud or sticks with it. Where can a guy get one of these industrial strength hooks? All of the hooked tools that I have used eventually fail. Not made for the necessary type of pulling? 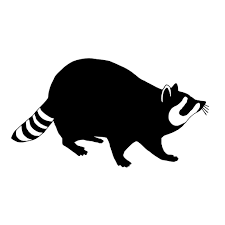 I got mine from Lizotte solutions,a company that does beaver control out of Quebec. I usually have a set price per hr that I need to make on any job I'm doing. Dam breaking is no different. Figure if you need to make $20/hr then how much time will you have in this job. Have a minimum that you charge for small and and go up from there. I use tannerite for dam removal. Saves a lot of pulling sticks. I have never understood how you get the tannerite to explode, on a 7' tall dam, with the tannerite buried 6 feet in the ground below the dam to get a "good" deep blow. I understand 2' or maybe 3' lowered but how do you blow a wide deep opening with tannerite with out using additional material or a lot of tannerite and do it safely. Here is a spot I just finished up.4 big beavers and I let the water down in stages as I was trapping them out.An easy 50 bucks with the beaver rake to open the culvert.Water back to natural flow. Last edited by Boco; 10/03/18 07:14 PM. On the rare occasion I get a beaver job it's usually so close to rds or easements the county tears them out for me. one the the farmer told me to leave it and he'd take care of it. 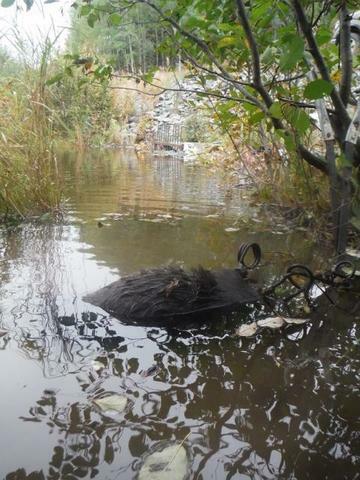 Others were are creeks are so violent if you remove all the beaver it will blow out in the next big rain.